V2468. 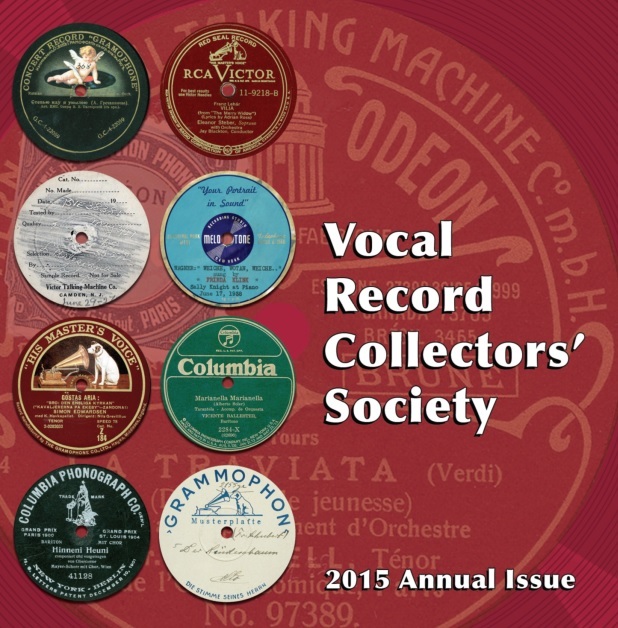 VOCAL RECORD COLLECTORS' SOCIETY - 2015 Issue, incl. 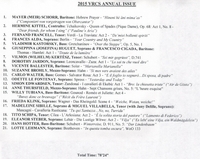 Eleanor Steber, Vilmos Kertész, Meir Schorr, Madeleine Sibille, Miguel Villabella, Hermine Kittel, Fernand Francell, Vladimir Kastorsky, Josefina Huguet, Francisco Cigada, Dorothy Jardon, Vicente Ballester, Suzanne Brohly, Carlo Walter, Odette le Fontenay, Frances Alda, Simon Edwardsen, Anne Thursfield, Willy Tubiana, Tito Schipa, Frieda Klink, Hans Hotter & Lotte Lehmann. 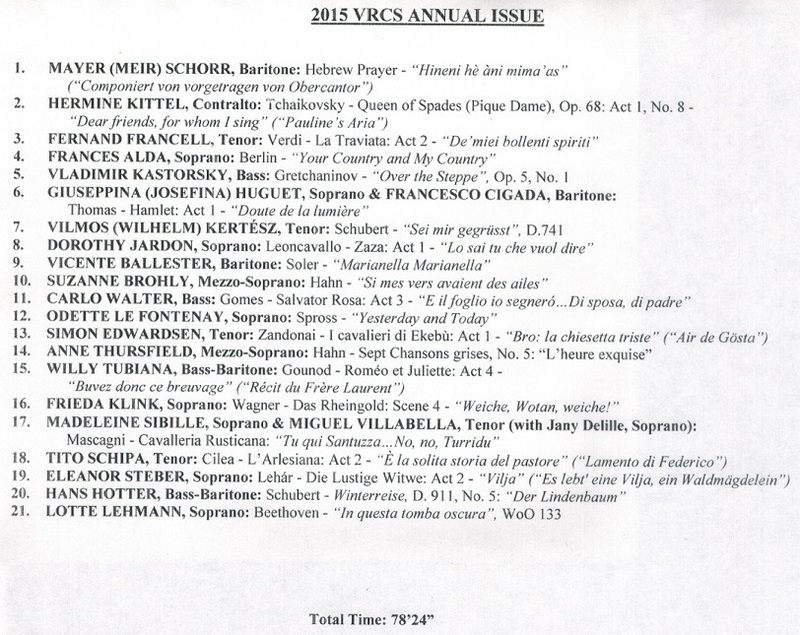 VRCS-2015, recorded 1903-46. Transfers by Seth B. Winner.